In this article I will go through the process of doing backups on your Linux based computer. 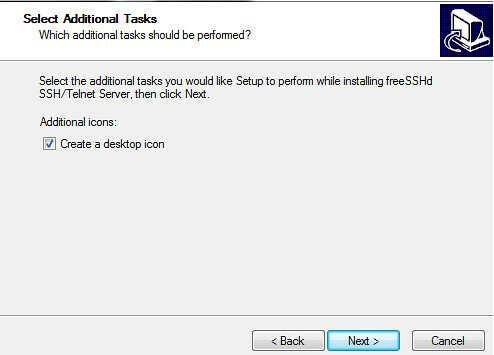 In my example, I am running an Ubuntu Server and will be backing up the data to a Windows Server 2008 R2 machine. This should work with any Windows based computer as the backup target. Let’s get started. 1. 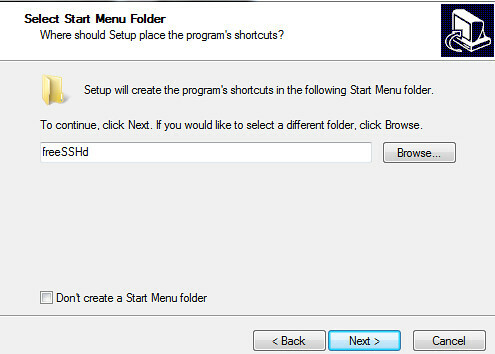 The first I am going to do is change to my home directory and create a Backups and Scripts folder under my Documents. 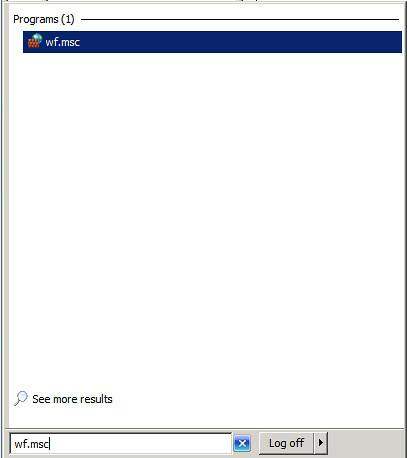 The backup directory is what I am going to be using for my backups while the scripts directory will hold my shell backup script. SRCLOCS="/var/www /var/log/apache2 /var/log/my* /var/log/fail* /var/log/syslog* /var/log/mail*"
c – create a new backup archive. v – verbose mode, tar will print what it’s doing to the screen. p – preserves the permissions of the files put in the archive for restoration later. z – compress the backup file with ‘gzip’ to make it smaller. f <filename> – specifies where to store the backup, backup.tar.gz is the filename used in this example. It will be stored in the current working directory, the one you set when you used the cd command. You can copy and paste the script to an empty document on your Linux server and save it with a .sh extension so that it knows that it is a shell script. Alternatively, you can download the file from here. We will use the script later on. 3. 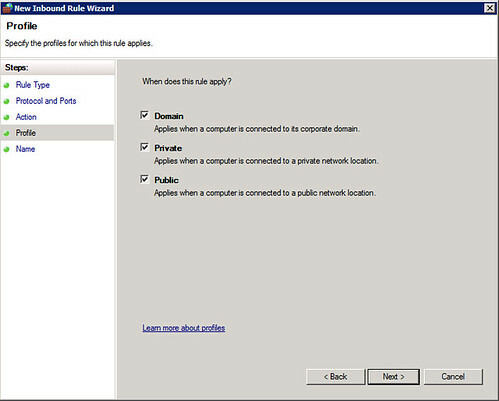 On your windows computer that you are using to store the backups you must first modify the firewall settings to allow inbound connections on port 22. 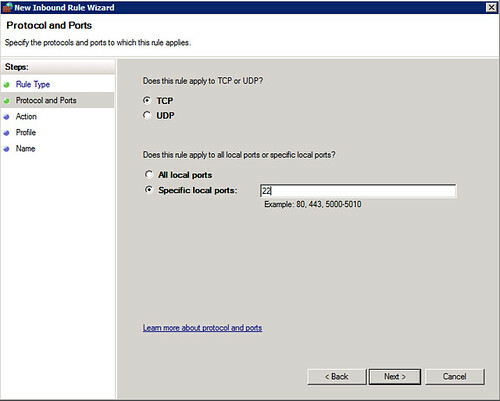 Port 22 is the default port that is used by SFTP. 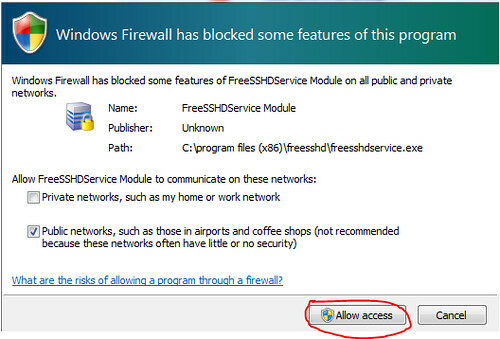 Which will open the windows firewall management console. We are all set. The next thing that I like to do for better security is modify the scope options on our new rule and only allow our Linux server to have this exception applied to it. 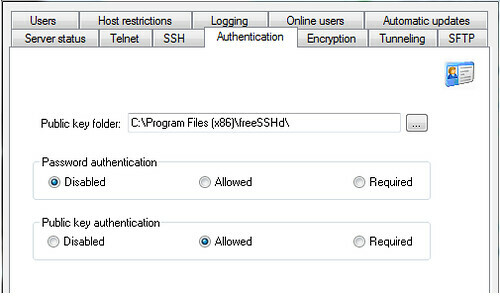 This will block other people from accessing our backup server via that port. Open up the program and head over to the server status tab. 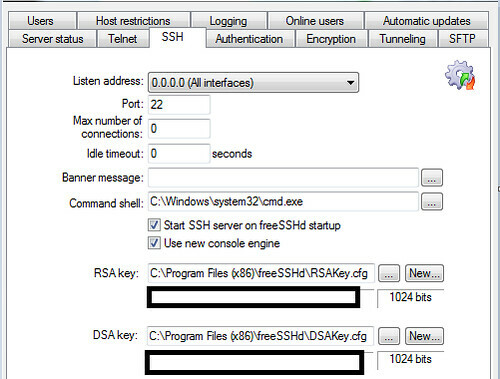 Verify that the SSH server is up and running. 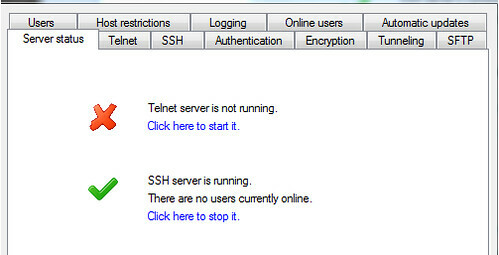 On the SSH tab I went ahead and checked the “Start SSH server on free SSHd startup” option. 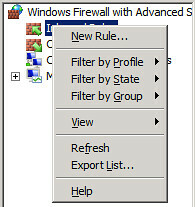 Under the authentication tab I “Disabled” password authentication since we are not going to be using that and checked the “Allowed” option for public key authentication since we will be using certificates instead which are more secure :D.
In the SFTP tab select the folder location where you want all the files to be saved to. 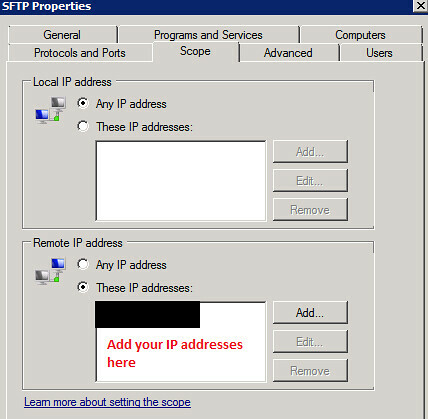 Lastly head over to the users tab and create a new user and make sure that for the Authorization drop down you select “Public key (SSH only)” and give the user SFTP rights. 5. Now that we have configured FreeSSHD the next step is to generate our public and private keys that we will use for authentication. The program of choice for this purpose is PuTTYgen and you can grab that here. Note: You can change the number of bits in the generated key but I wouldn’t personally recommend anything below 1024. 1024 is considered to provide adequate security while anything higher will give you more at the expensed of decreased performance. Hit generate once you have chosen your settings. Go ahead and protect your key with a passphrase. Make sure that you store this passphrase in a secret location. I personally have been using Keepass for storing things of this nature for years. 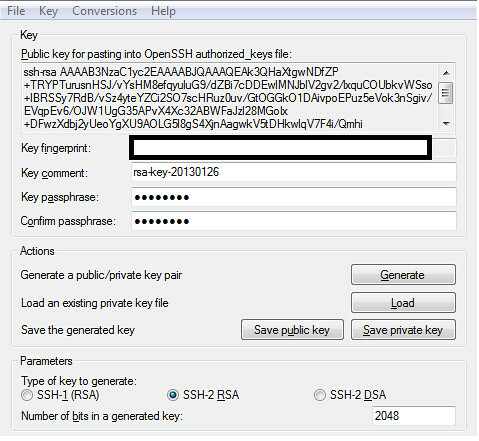 Once you have typed your passphrase go to the “Conversions” menu at the top and select “Export openSSH key”. 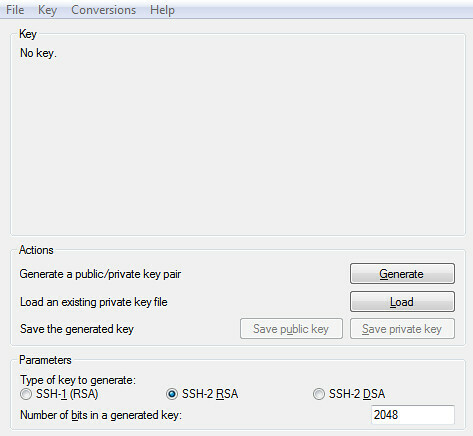 Save the private key with a tile of “id_rsa” to a location on your computer. You will need to transfer this key to your Linux server later on. 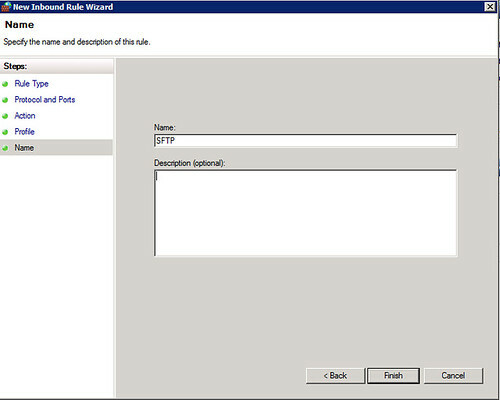 Copy the public key that is shown in the main window over to a blank text document. 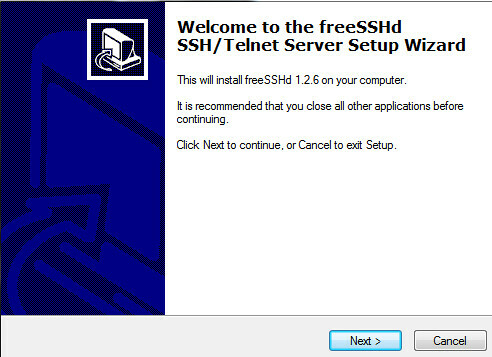 This text document must then be saved over to the FreeSSHD directory that you specified during install. 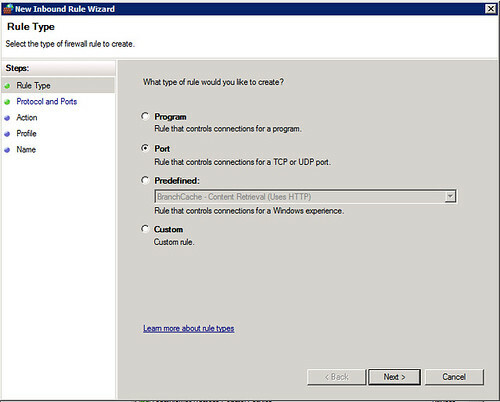 The name of the text document must match the name of the user account that you created. In my case the document is called “glenn.txt”. Make sure that you enable the viewing of extension for well-known file types in Windows and get rid of the .txt extension at the end of the document. Success!!! Now that we know that SFTP is working properly you can execute my script from above and backup your files. 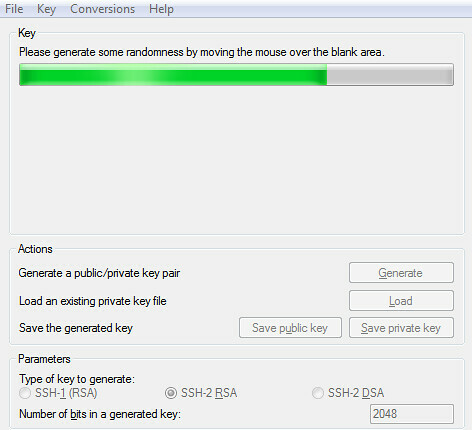 As a follow-up to this article I will later on post how to get keychain to work properly so that we can store the passphrase on our Linux server session and setup a Cron Job so that it can run automatically. I would also like to improve the script by deleting the backups from my server if they transferred over successfully. This will require some logic to be put into the script. That is it for now, thank you for taking your time to read this article. See you around next time.